New in the box Equinox 600. These are in great demand and short supply. I have tried one out and they are smooth on wet salt. Multi frequency so they go deep. 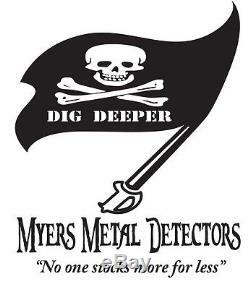 We are the best Metal Detector shop located in sunny Tampa FL. Thanks & Happy Hunting, Phil. With innovative NEW multi-frequency technology, the EQUINOX Series redefines all-purpose detecting for the serious enthusiast. Equally adaptable for all target types and ground conditions, just set your detecting location and go! True intelligent Simultaneous Multi-Frequency for maximum performance, plus a wide range of single frequencies. Compatible with ultra-fast wireless audio with the WM 08, and fast aptX Low Latency / Bluetooth headphones. EQUINOX is fully submersible, ideal for detecting at the beach and in rivers, streams and lakes. Each Detect Mode features 2 custom Search Profiles so you can save your favourite settings in each mode. Rugged and lightweight construction allows you to enjoy long detecting sessions in any environment. Fast & Accurate Target ID. Fast recovery speed with accurate Target ID ensures you wont miss any valuable targets amongst the trash. The Minelab EQUINOX is truly in a league of its own. In the short time I've been operating this machine, I've recovered deep coins and artifacts from iron infested sites that other machines simply cannot detect. Equally adaptable for all target types and ground conditions just select your detecting location and go! Great for high-trash recreational areas, including most general detecting. Ideal for detecting in historical fields for the widest range of target sizes. Optimised for all salty conditions dry sand, wet sand, surf, underwater. Derek and I were testing the EQUINOX prototype yesterday, on another Victorian dump field over on the East side of Scotland. The field was very contaminated and busy with lead, scrap, iron, etc. We managed a few nice finds and one special 22ct gold coin from the reign of Queen Victoria, dated 1849 - 168 years old!! It was a great signal at around 6-8 inches and one you would dig all day long. We were detecting next to a Roman camp and quite possibly unearthed a broken Roman cast bell, could be medieval though and one or two other cool artefacts. The clear LCD features large Target ID numbers so you can see your target ID at a glance. All of the information you need when detecting is right there in front of you. Low frequencies give more depth on large targets, and high frequencies are usually more sensitive to small targets. With EQUINOX you can operate across the full spectrum of frequencies simultaneously for maximum results. Read more detailed information and reviews on our game-changing Multi-IQ technology. The item "Minelab EQUINOX 600 Multi-IQ Metal Detector with EQX 11 Double D Smart Coil" is in sale since Friday, May 4, 2018. This item is in the category "Business & Industrial\Test, Measurement & Inspection\Test Meters & Detectors\Metal Detector Accessories". The seller is "metaldetectorguru" and is located in Tampa, Florida.